Throughout the course of our beloved series, there are many characters who follow Captain Aubrey from ship to ship. The regular crew do this out of loyalty, and because they know Aubrey is both skilled and lucky. The officers follow him for these same reasons, but additionally pay him the compliment of placing their careers and opportunities for advancement in his hands. This is because promotion in Aubrey’s Royal Navy depended very heavily on patronage. In the eighteenth century no pretense was made that the society people lived in was a pure meritocracy. Positions in government and the civil service were dependent on a loose system of patronage. This system was operated in the Navy, as on land, with the exception that to become a lieutenant one still had to pass an examination. Beyond that point promotion could depend on who you knew. Boys were taken into the service on the recommendation of uncles, godparents, family friends and brother officers. They were taken on in return for a debt written off or to pay off an officer’s bill with a merchant, or as a favor to a senior officer, in a system of interlocking patronage and favoritism. 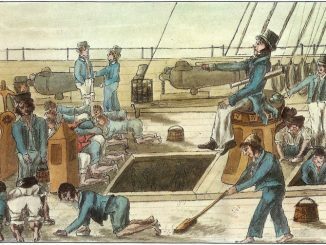 Once a boy had the requisite sea time, on a ship’s muster for at least six years, and had served his apprenticeship as a midshipman or master’s mate ( for at least two years of the six) he could take his exam for lieutenant. Once he became an officer a man’s advancement was in the hands of his patron. Having a powerful patron could see a man advanced very quickly to post captain, picking the wrong patron or having none at all would often lead to a stalled career. The system may seem arbitrary but it was in the interest of patrons to promote the best men; if their proteges did well this would then reflect on them. There was competition between the Admiralty and Commanders at sea to promote their own men. All appointments were subject to confirmation by the Admiralty but on remoter stations, such as the East Indies, fleet commanders were allowed to appoint who they saw fit. 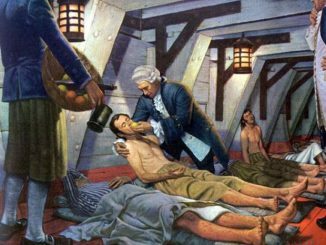 Power to appoint was the single biggest source of friction between admirals and the Admiralty, it was the glue that kept the officers loyal to a particular commander. No ability to hire and fire would quickly see an admiral’s authority undermined. One of the unfortunate consequences of a patronage system, such as the one operated in the Navy, was that if an officer’s patron died or was killed in action, an officer’s promotion prospects were damaged. As an example John Pasco, the First Lieutanant on the Victory was under the patronage of Lord Nelson. 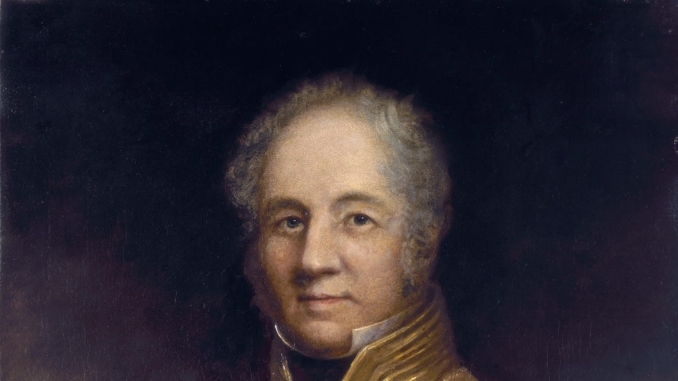 At the Battle of Trafalgar Nelson put him in charge of signals, a position usually occupied by the fifth lieutenant, promoting Lieutenant Quilliam to acting first lieutenant. Pasco wasn’t happy with this; he knew that if the action was successful then the officers would be promoted, the first lieutenant traditionally being made up to post captain. 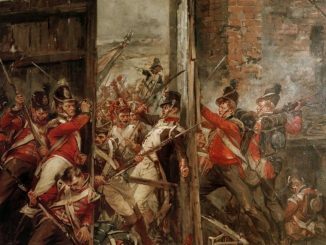 Nelson undoubtedly meant to look after his protege, but died in the battle, and Pasco only got promoted to commander, whereas Quilliam was made a captain, ahead of Pasco and the other three lieutenants. The move from lieutenant to captain was the hardest promotion to achieve, and depended very much on a man’s ‘interest’ or patron. An intermediate step was commander. This would enable an officer to command an unrated vessel such as a sloop or gun brig. This route was often a dead end, and after his first commission an officer could find himself ashore on half pay, with no prospect of being made a post captain. Once he had been made a post captain, promotion to admiral was automatic. This was done by seniority, but it didn’t mean he would necessarily fly his flag at sea. Admirals could be appointed to an unspecified squadron, commonly known as the yellow squadron, if the Admiralty had no confidence in a captain’s ability to command a fleet. The follow on effect to this was that if the Admiralty wanted to promote an able captain to flag rank, they would have to reach down the list and promote all the captains above him. An intermediate step was commodore, often appointed by the admiral at sea, and in charge of a small squadron operating independently from the main fleet. This is a simplified version of the watch system as operated in most ships, where the crew were divided into two watches, the larboard and starboard watch.